Today everybody’s favorite wandering Hasidic gunslinger walks off into the sunset. 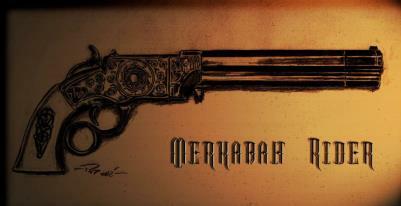 Merkabah Rider 4: Once Upon A Time In The Weird West, is now available most everywhere. It’s high noon for the universe, and the Outer Gods are stirring in their slumber. Adon has gathered the Creed, his brotherhood of traitorous merkabah riders, as well as a host of dark allies including Navajo skinwalkers, an order of death worshipping monks, an master gunslinger cobbled together from the corpses of famous gunfighters, Lilith the Queen of Demons, and the fallen angel of death Samael himself to bring the Hour of Incursion about. 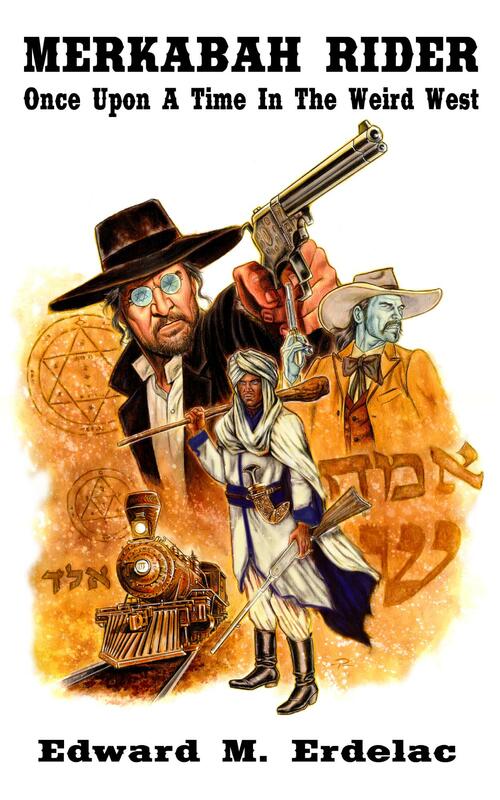 The Rider and Kabede, last of the Sons of The Essenes, form their own company to oppose him, including a fanatical preacher more steam engine than man, a pagan witch, a skilled kung fu nun, and of course Faustus Montague, an angel from another universe. For four years the Rider’s taken me along on his journey across the demon haunted old west, tangling with tentacular entities, possessed gunmen, invisible monsters, throwing down on gunmen, demons, and other horrors. He’s taught me about the fascinating richness of Jewish faith and folklore, and I’ve grown as a writer relating his saga. For that I’m eternally thankful. Here’s a brief excerpt for you all. 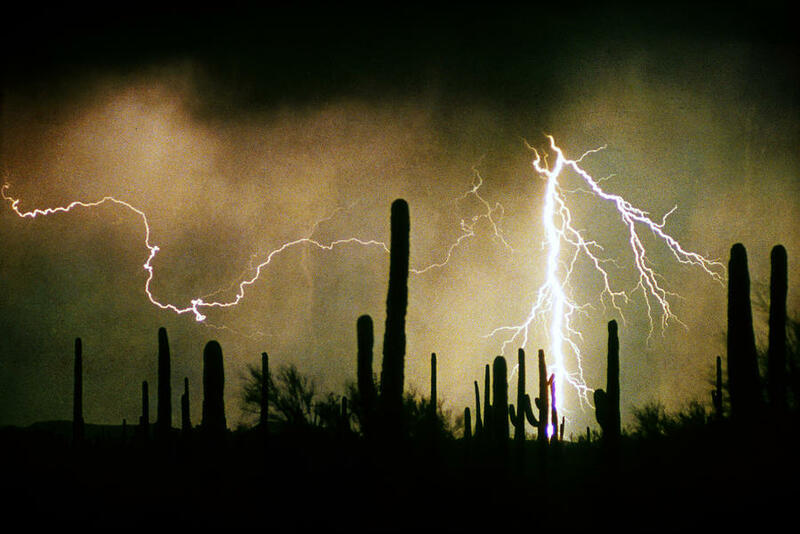 A whip chain of lightning lashed across the black sky, illuminating the landscape in a rapid series of photographer’s blue flashes, and if the Reverend’s heart had been capable of skipping a beat, it would have. Below them, crossing the dark plain, advancing through the tempest pounding towards the house, was an army of nightmares pressed from Hell. The Reverend saw hundreds of creatures creeping across the desert. It was as if the buried bones of the country had risen up all at once. He saw a herd of bleached white cattle, dried leather whipping on the bones like the wind torn rags of derelict sailing ships, thundering alongside a group of long dead buffalo. A pack of rotting coyotes ran beside shambling, skeletal bears, though no bears had been in these parts in ages. There were cadaverous human shapes, too, and fast moving, long tailed, reptilian forms. These were creatures of ages past, roused unnaturally from their long torpor. He saw a dozen of those prehistoric horrors, with black clad, armed riders mounted on their spiny backs. Large scissor-billed avian skeletons wheeled overhead, beating the black sky with impossible bone wings, ranging ahead of the undead host, some of them big enough to pick up a horseman in each bare, taloned foot. Most terrible of all, he saw an immense human skeleton, maybe twenty feet tall, drag itself up out of the muddy ground, the rain melting the sediment of eons from its tree trunk-thick brown bones. The sloped crown of its massive skull was elongated, inhuman, and the huge, sorrowful eye sockets were black and deep as the gulfs in which curled every twisted nightmare, every prickling dread and doubt that plagued the restless in the dead of night. The Reverend had to lean on a boulder to keep from falling to his knees, and though he was immovable, the howling wind did its best to blow him from the hill. Good God, what were they? Will this be available as an ebook for us non-Kindle users? The Nook version should be up at Barnes and Noble….I’m working on making a pdf available. Is there a specific format you’re not finding? Thanks! I’m after a Nook version. I checked B&N a little while ago and didn’t see the ebook available, but if I know it’s coming I’ll just keep checking back until it shows up. Looking forward to reading this last book, though I’ll be a little sad to say goodbye to the characters. Ah! Michele, you know what happened, the Nook version got posted with the wrong title and I had to take it down and re-publish. That’s probably why it hasn’t shown up. Hopefully by this Friday it will be back up there. Oops! No problem; my reading schedule this month is pretty tight anyway. I’ll check B&N again this weekend. Thanks Jeff. That is Patricio Carbajal. Hi there! I was just wondering whether this will be back in print or kindle version again someday, hopefully soon? Loved the first 3 but have been unable to get this one at a reasonable price. Thanks! Hi David! I’m re-releasing the series two books per year starting this March, so Once Upon A Time In The Weird West will be back in 2019.
is the author of twelve novels (including the acclaimed weird western series Merkabah Rider) and dozens of short stories. He is an independent filmmaker, award winning screenwriter, and sometime Star Wars contributor. Born in Indiana, educated in Chicago, he resides in the Los Angeles area with his wife and a bona fide slew of children and cats. Send an e-mail to emerdelac AT gmail DOT com for details. I couldn’t make this up. What The Heck Is Merkabah Rider? And Is It Any Good? Edward M. Erdelac's Contributor Page On Star Wars DOT com. An Inner Darkness Kickstarter: Last Chance!